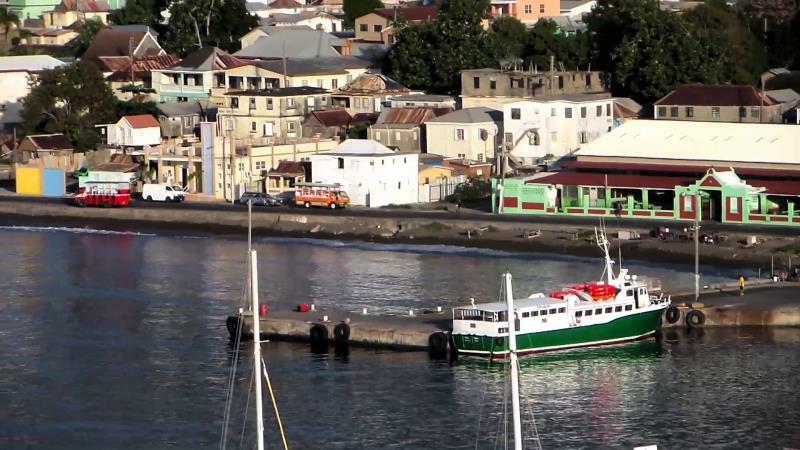 We were in Castries, St_Lucia at January 24, 2017 during Breakaway trip from New York to Caribbean islands. 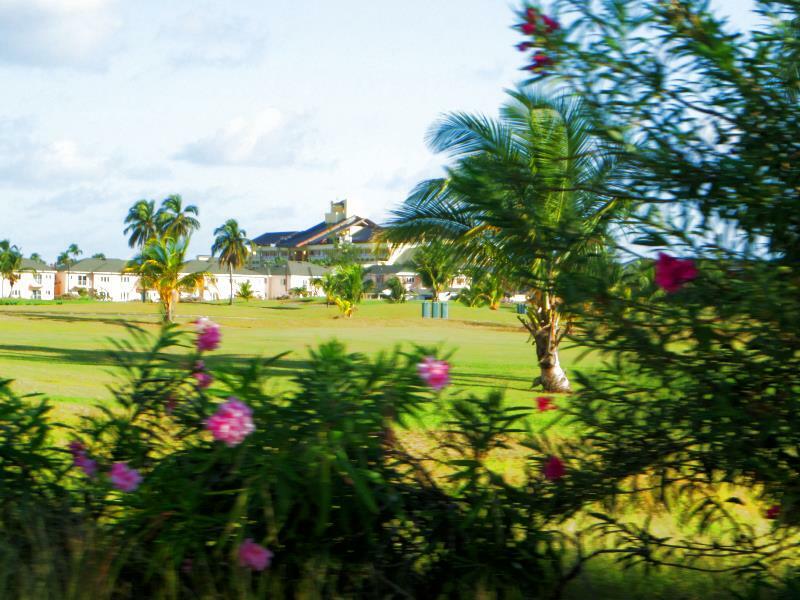 The island of Saint Lucia made impression divided between very rich and poor much sharper than other Caribbean we were. Impressive big estates located at shore are not neighboring to not attractive places for existence on the sides of inner roads. Not my first choice for anything. Beach whether was perfect nevertheless. 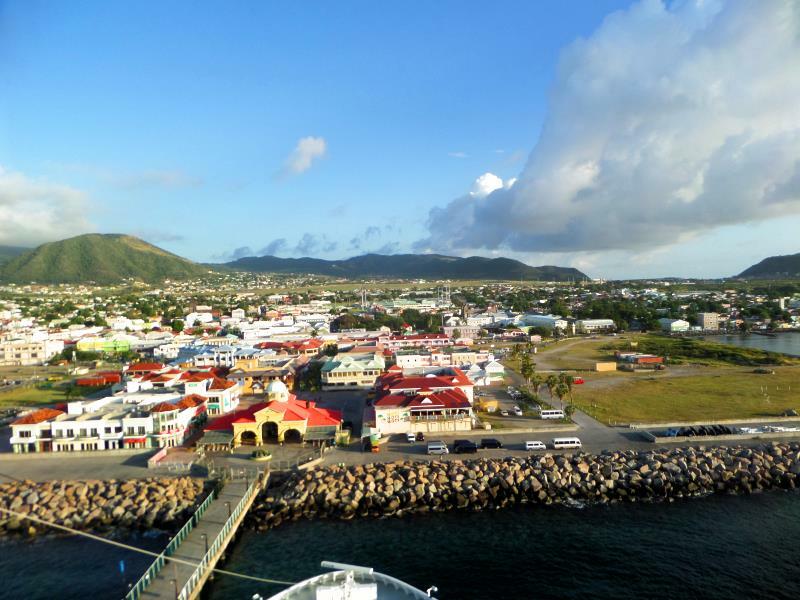 Port of Basseterre, St. Kitts. 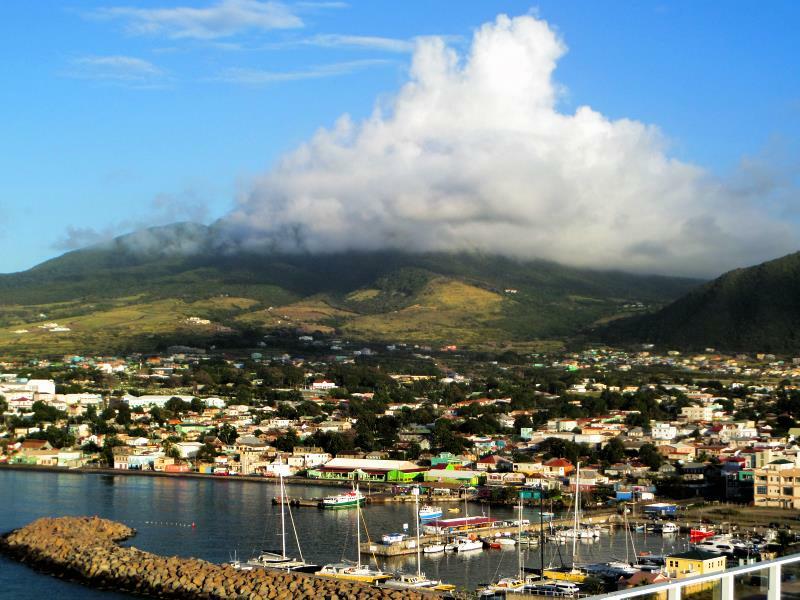 Town of Basseterre, St. Kitts. 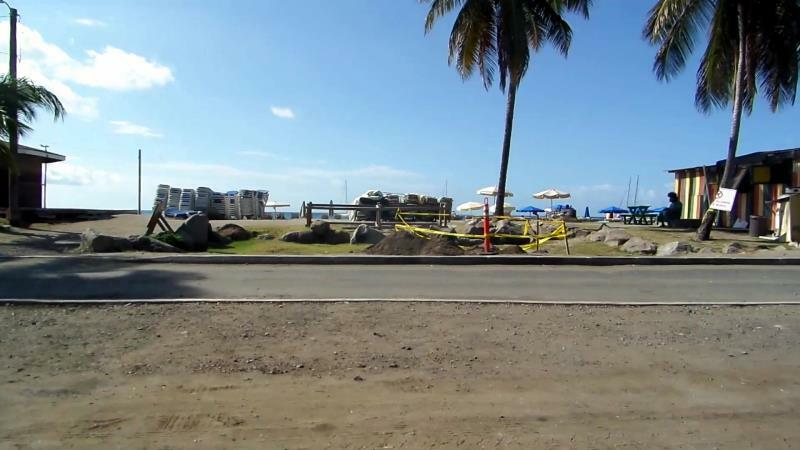 Seafront of Basseterre, St. Kitts. 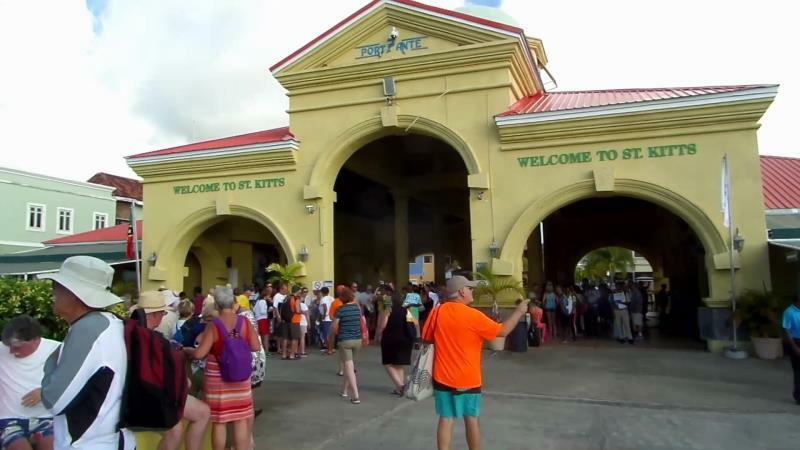 Entrance to Basseterre from cruise wharf. 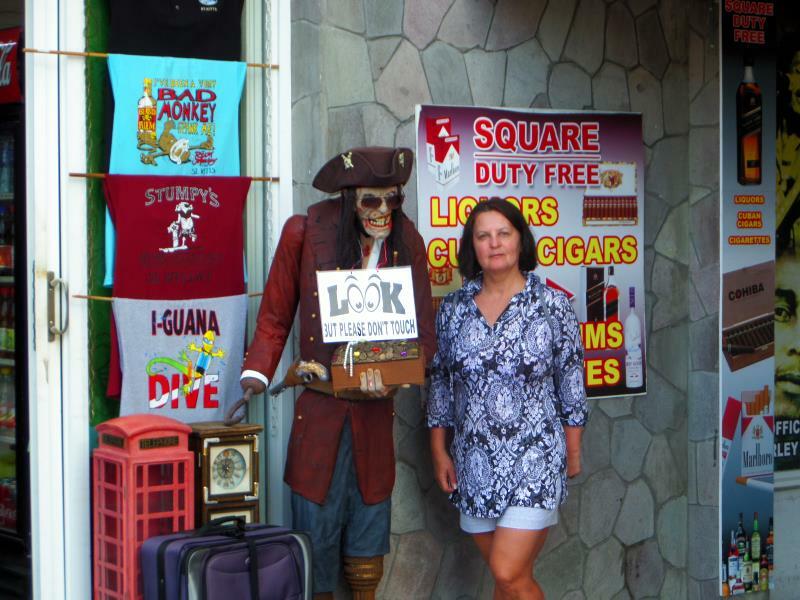 Shopping area at Basseterre, St. Kitts port. 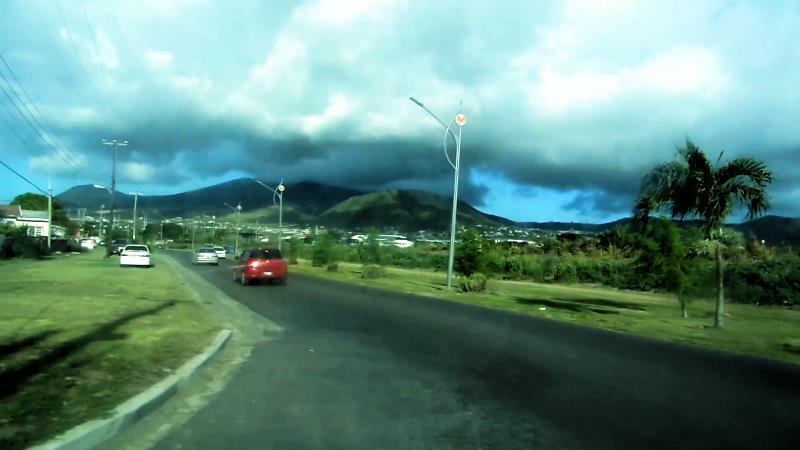 Suburb of Basseterre, St. Kitts. At the road outside Basseterre. Entrance into Frigate Bay beach. 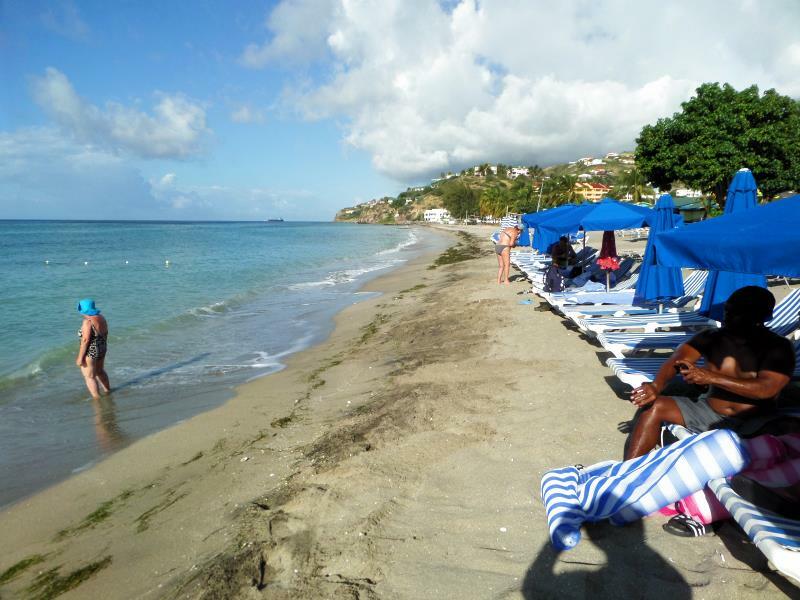 A morning at Frigate Bay beach. 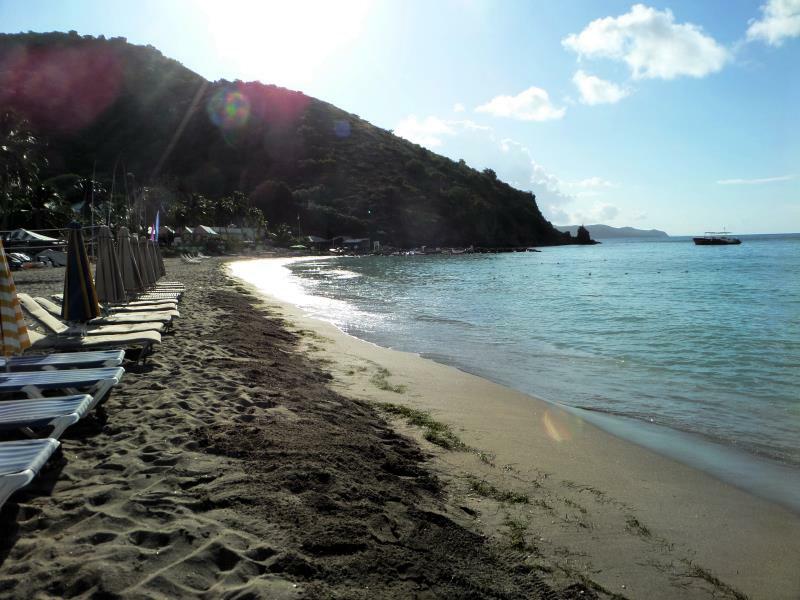 Frigate Bay beach. It is public but renting shade umbrella with beach place is necessary because sun is rustles. Even for tanned person several hours at direct sun there could be harmful. 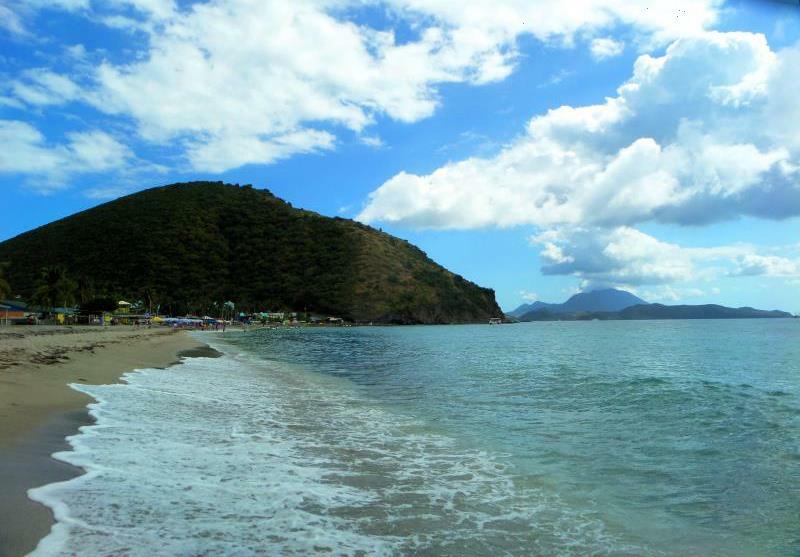 Island Nevis is the neighbor of St. Kitts and visible from Frigate Bay beach. 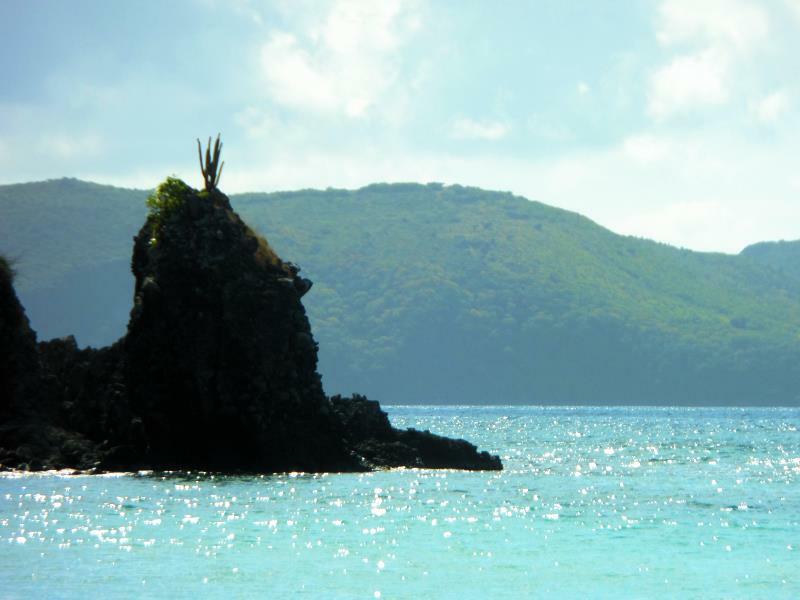 Frigate Bay beach is about half a mile long. 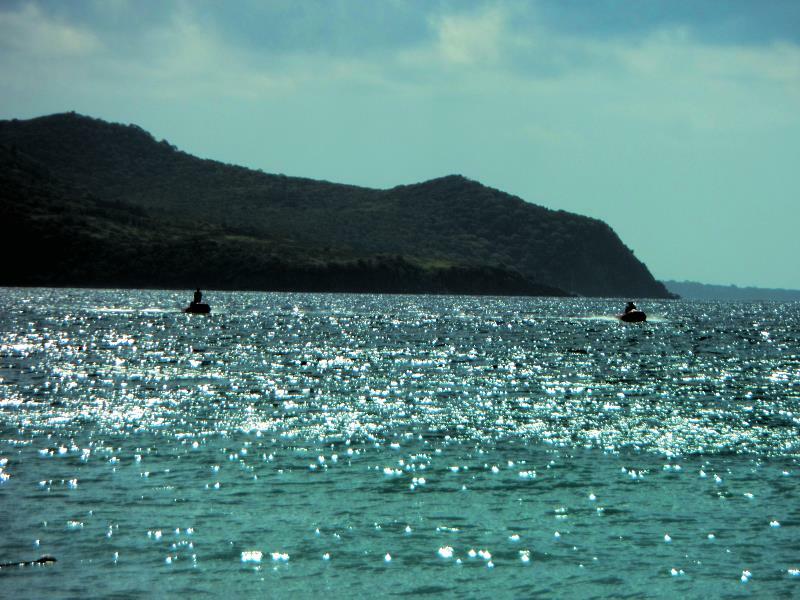 Water sport at Frigate bay. 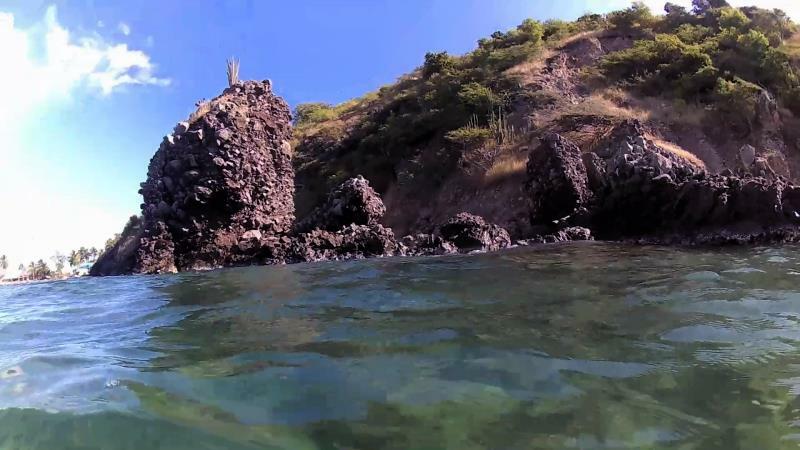 Spot behind the rock is the best for fish watching because clean water neat stone shore. 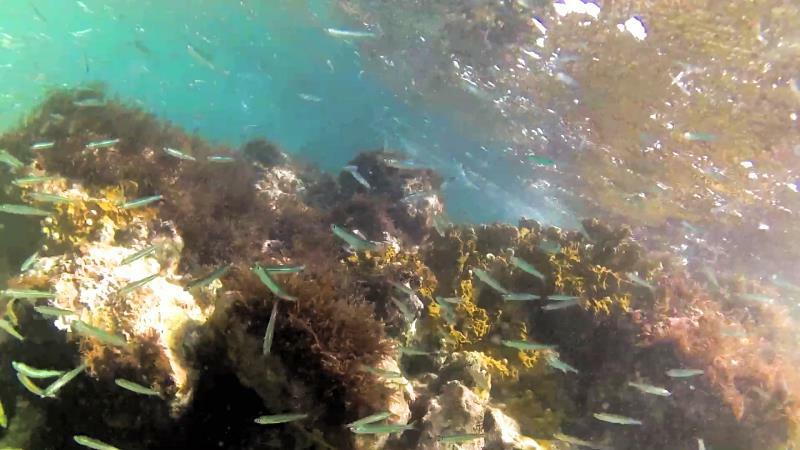 School of small fish near coral rock. 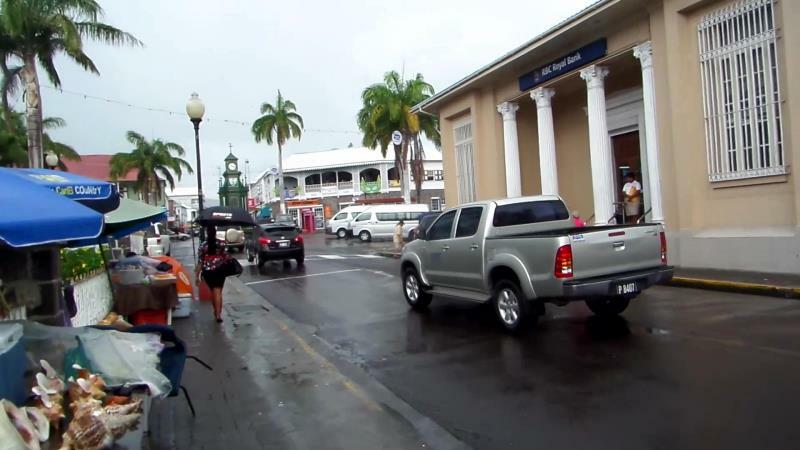 Center of Basseterre after short and warm rain. 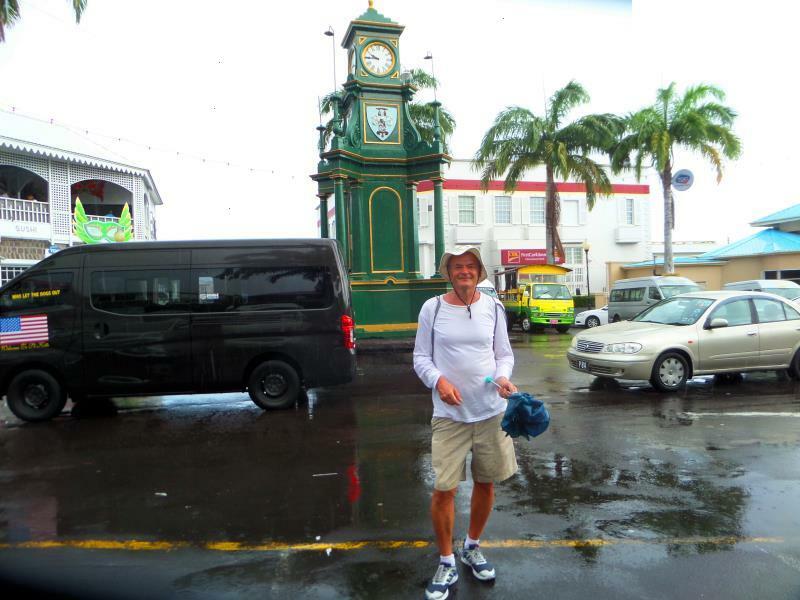 There is historic Berkeley Memorial clock tower at Circus, Basseterre. 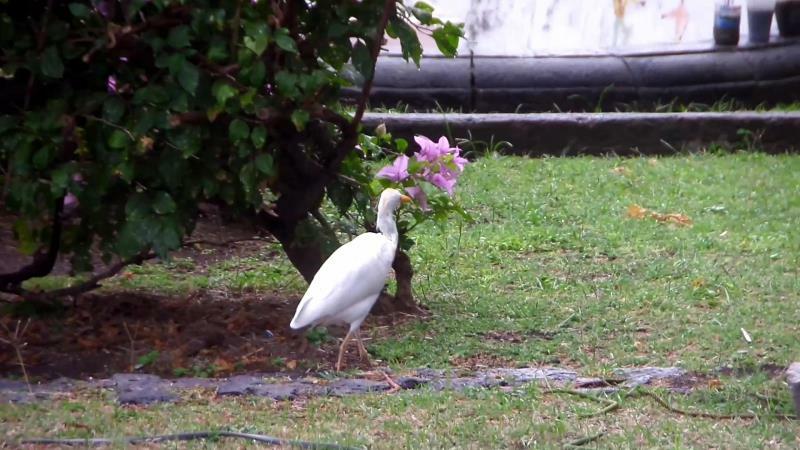 Big bird feels comfortable at the very center of Basseterre, St. Kitts. 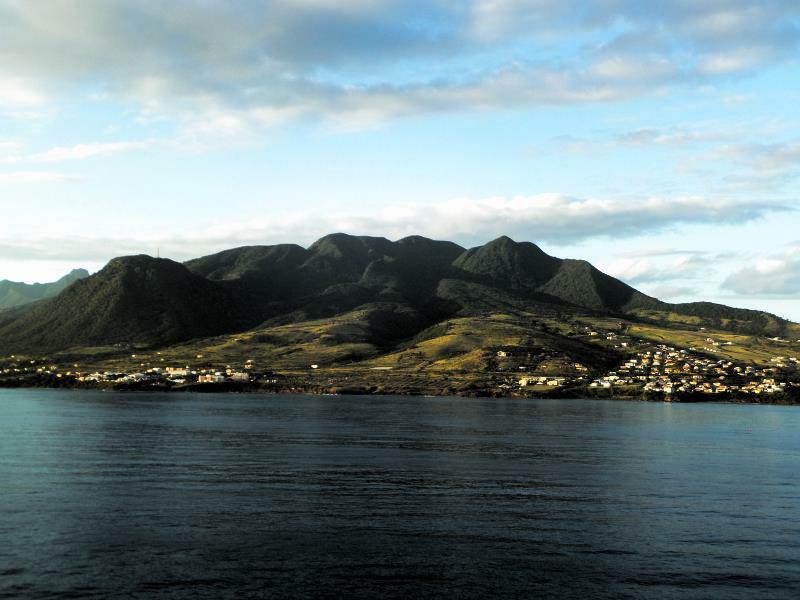 At evening foggy like cloud left of Basseterre, St. Kitts open full view of mountains from cruise ship. 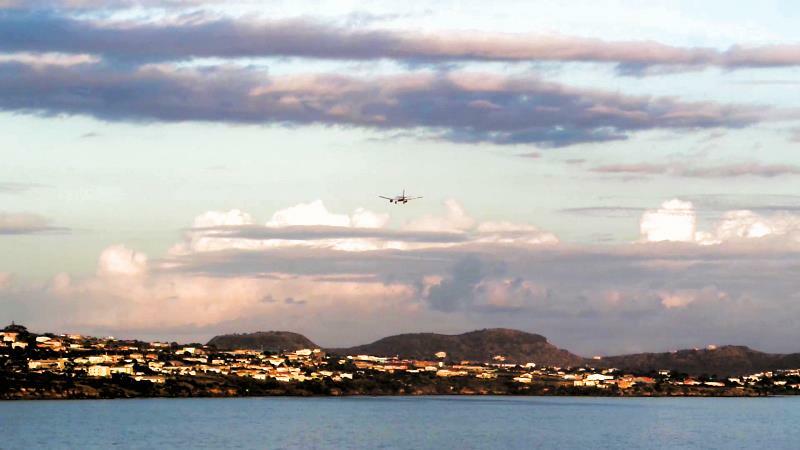 Plane landing to Basseterre, St. Kitts. 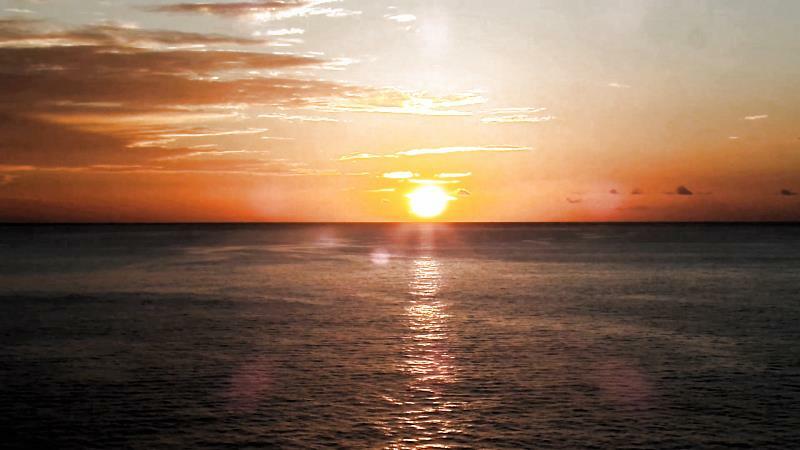 Farewell sunset after leaving St. Kitts.